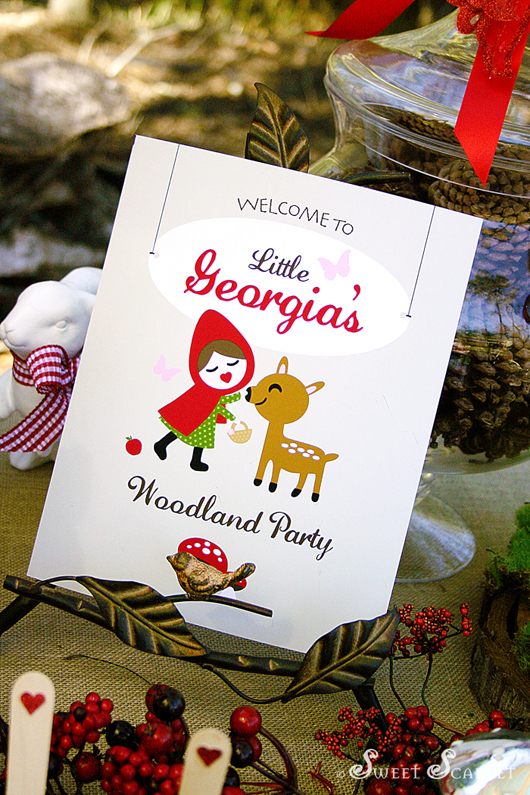 Here is a Woodland Party I designed for my daughter's 5th birthday. 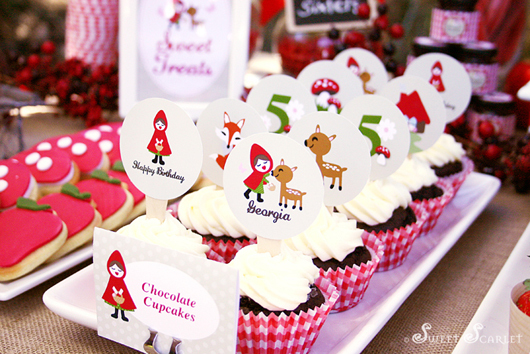 I found the Red Riding Hood theme so easy to work with. 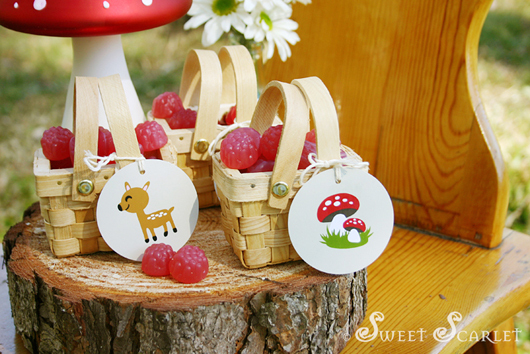 The styling possibilities for a woodland party are endless and it works great as a Fall theme as well. 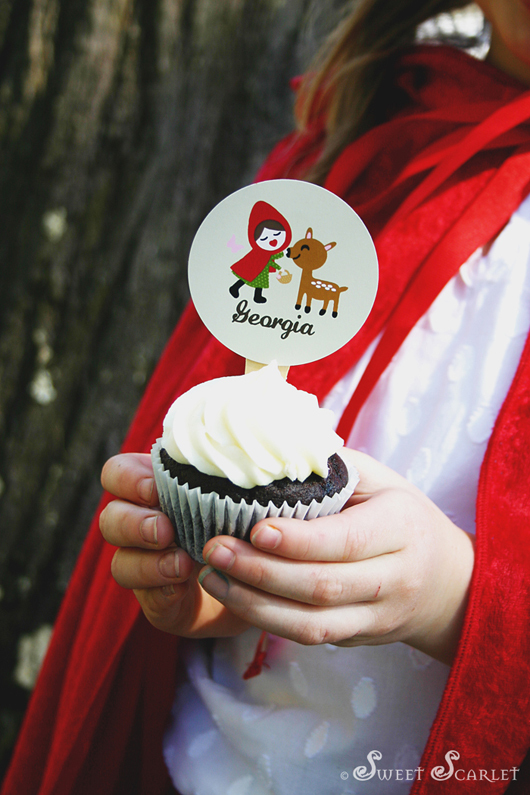 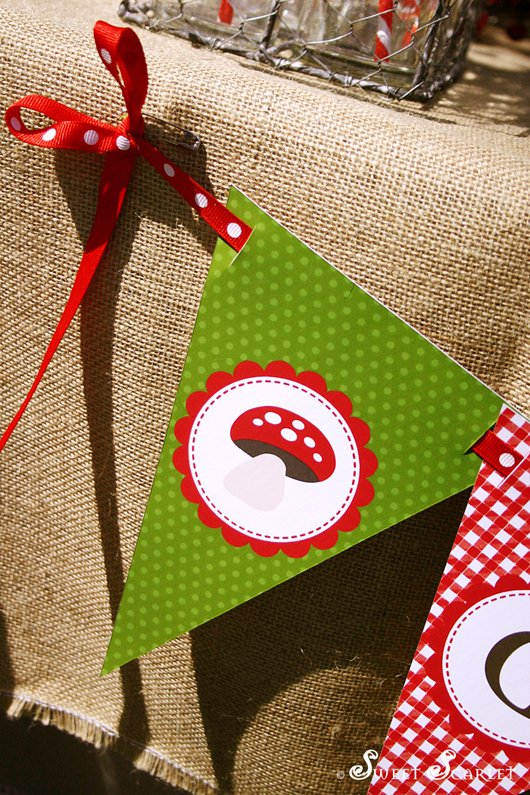 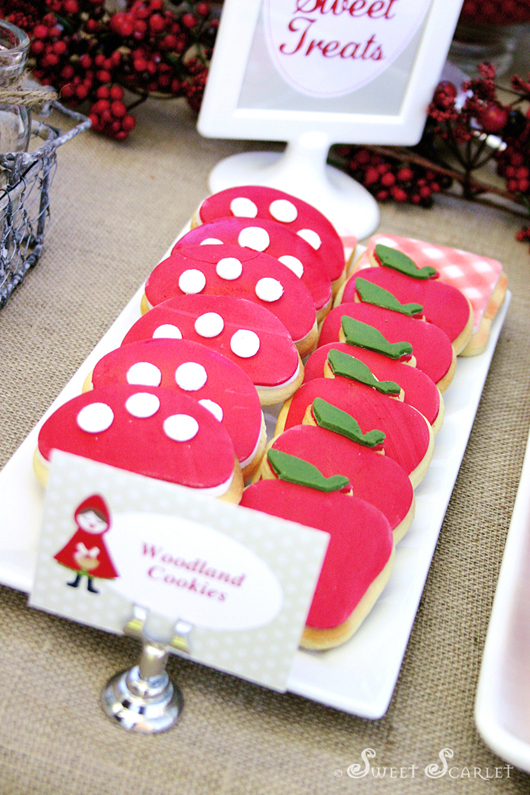 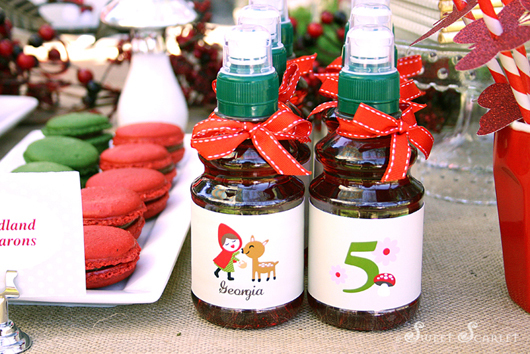 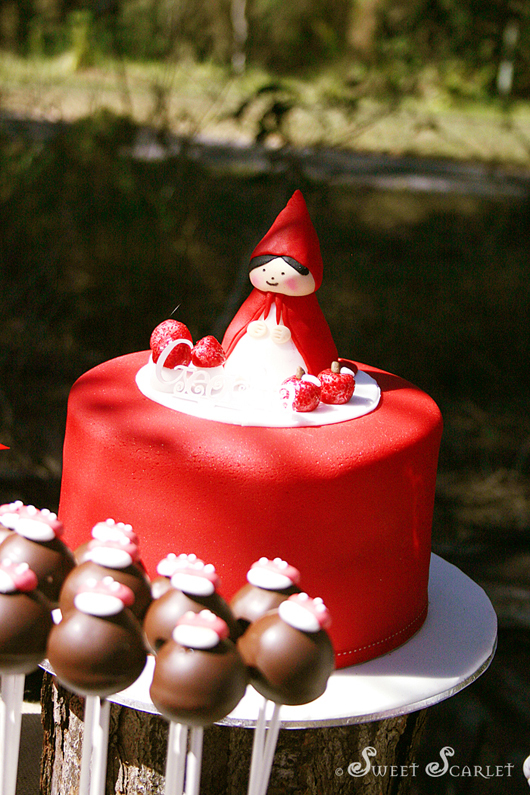 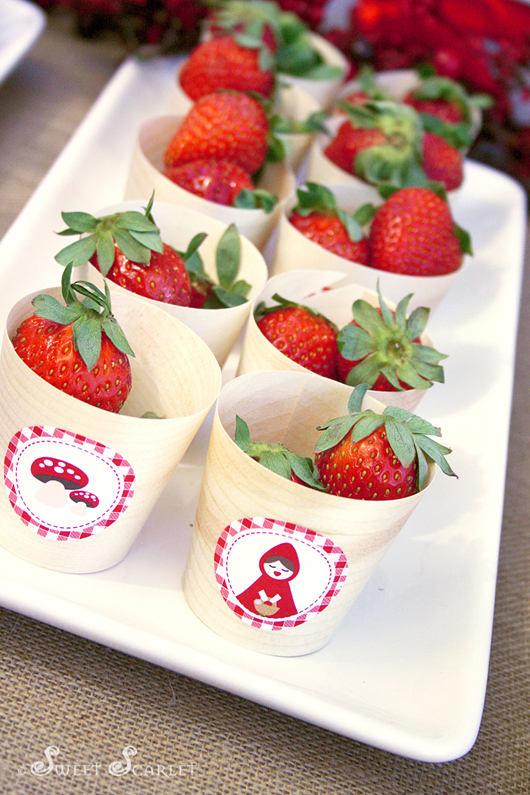 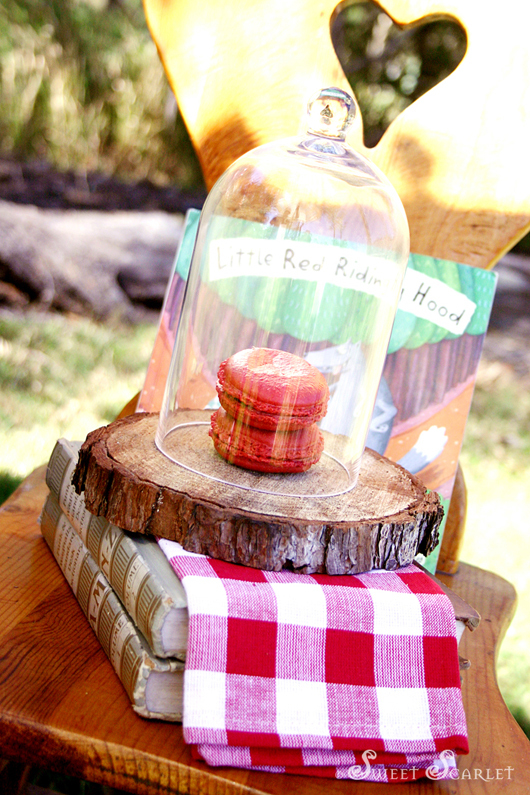 The printables feature Red Riding Hood (of course!) 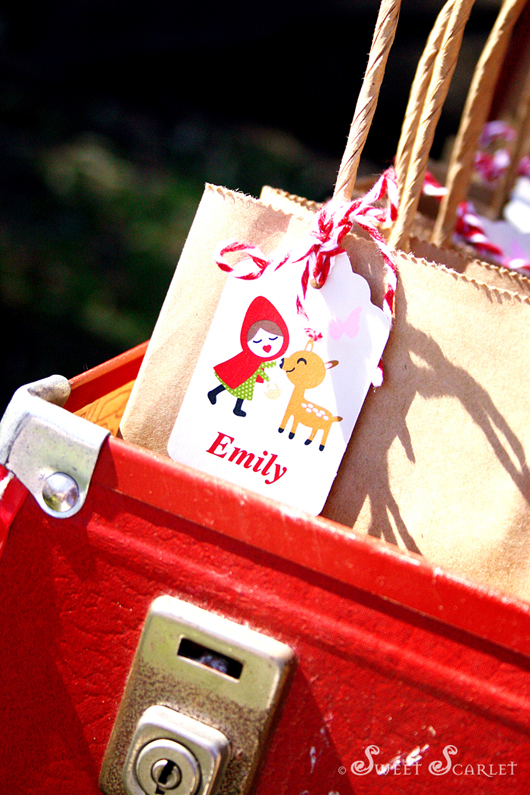 and other woodland characters like her little friend the deer, the slinky fox, Grandma's house and toadstools. 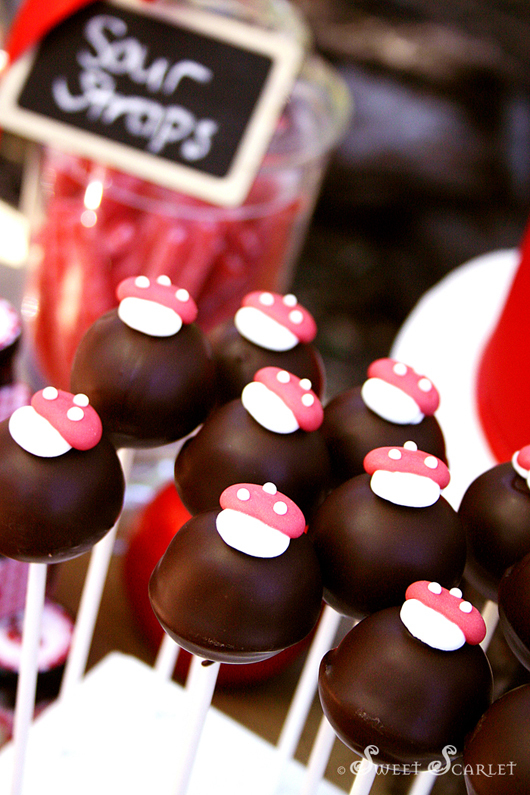 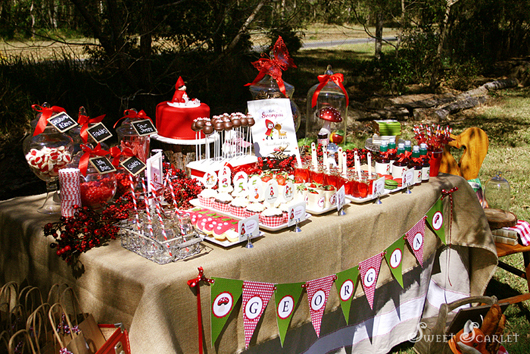 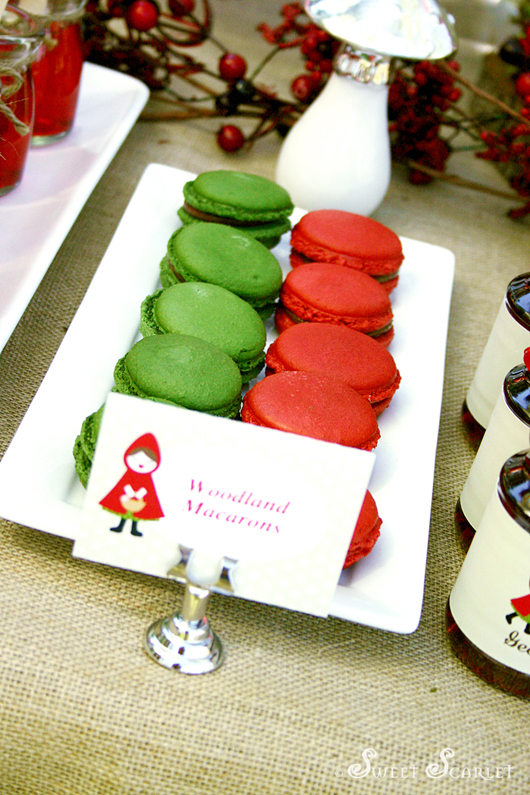 Party food included chocolate cupcakes, macarons, raspberry jellies, fruits of the forest juices, milk bottle, woodland cookies, chocolate cake pops and red-themed candy. 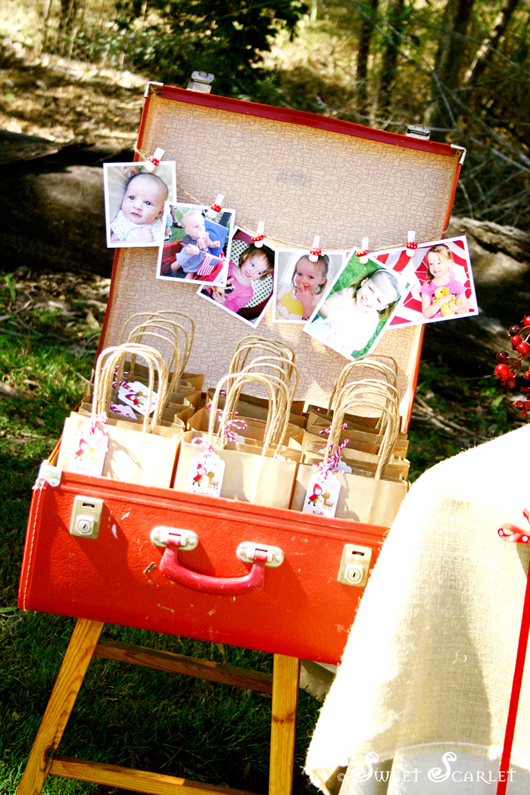 A great time was had by all guests and party games included sack races, pass-the-parcel, a coloring table and jumping castle. 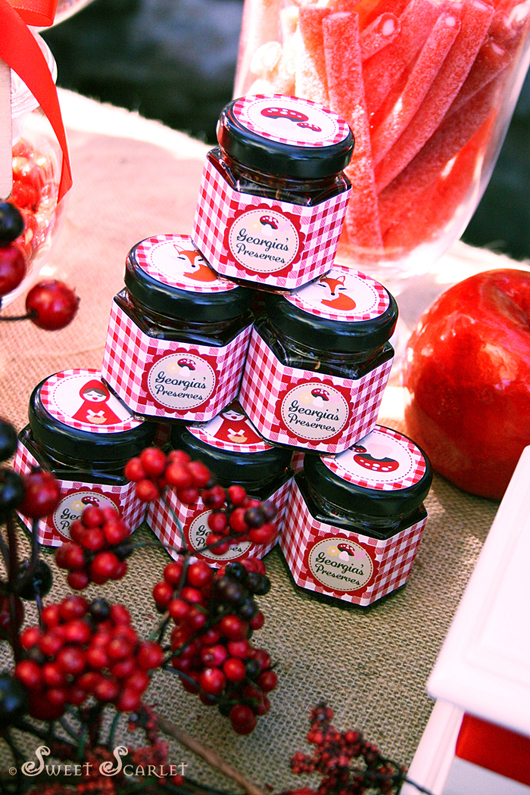 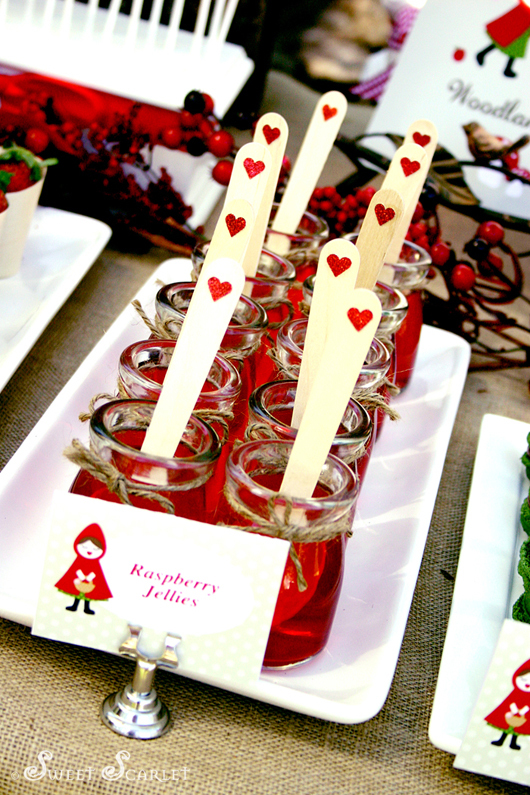 My daughter's favorite condiment is raspberry jam, so we incorporated this into the party as favors using mini glass jars with personalized labels. 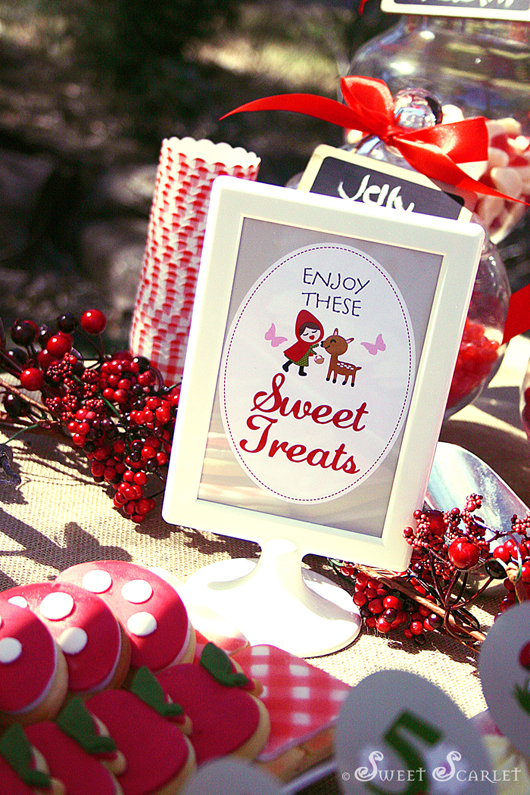 This printable set, including a personalized 7"x5" invitation is available in my Etsy shop. 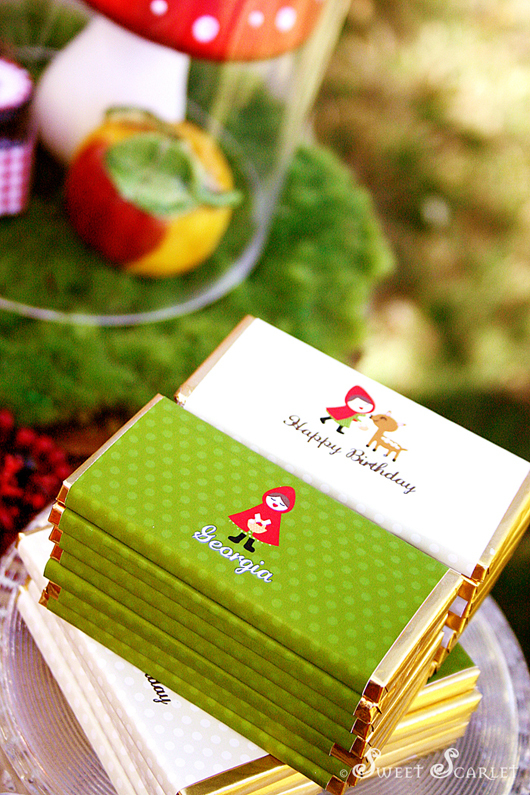 for decoration and to add a sentimental touch. 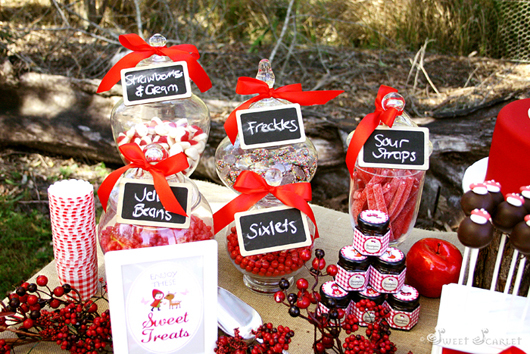 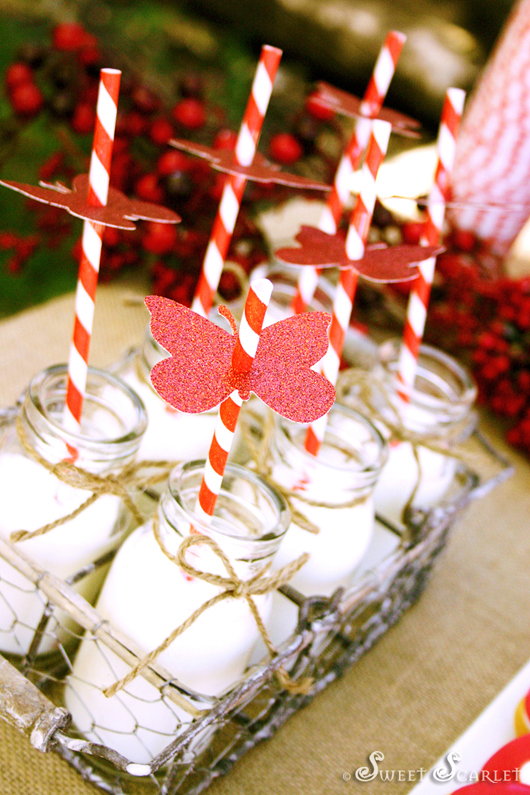 Editable Favor Tags – add each guests name to your favor tags. 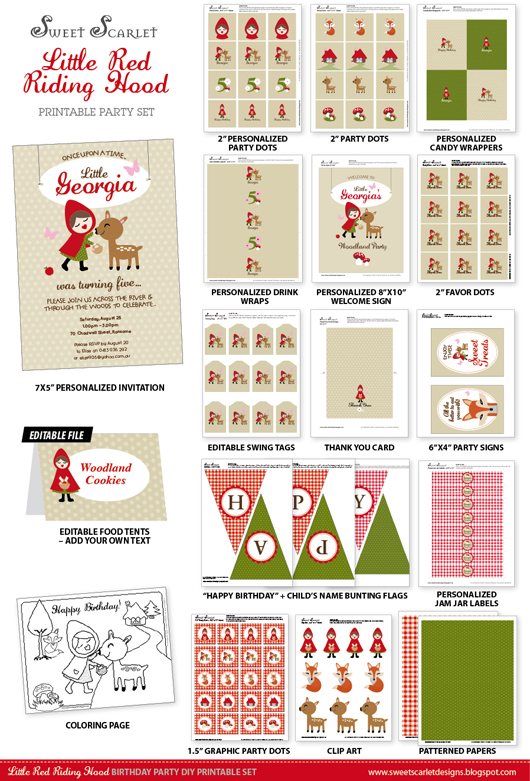 This printable set is available in my Etsy shop. 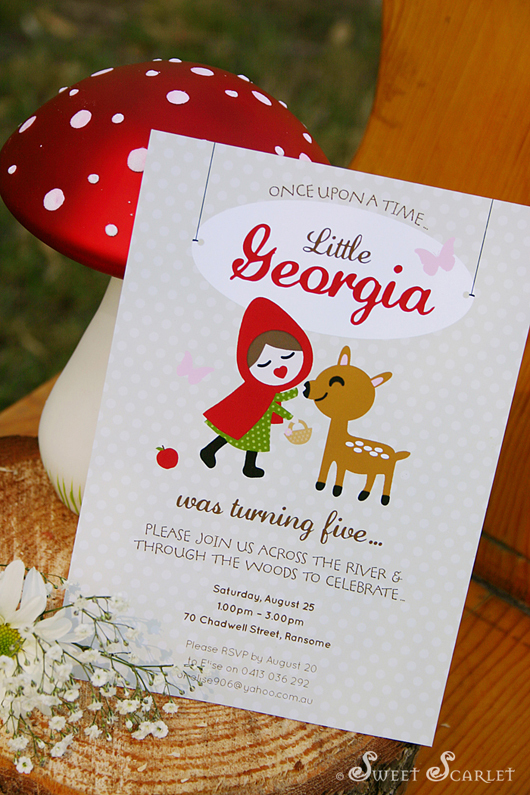 Hope you like this little printable design - I had a lot of fun working with this theme.